There’s not much more I love than the summertime – playing in the water, soaking up the sun, drinking yummy drinks by the pool. Ahh… pure bliss. What I DO NOT love about summer? The number it does on my skin. As I’ve reached my mid-thirties, I have seen a big difference in my skin, and unfortunately, it’s not a good one (insert frowny face). Crows feet have started developing around my eyes; Acne that seems to come on this time of year thanks to the heat and sunscreen, and other pore-clogging products; I have a few smile lines, and last but certainly worst of all – the sun spots! Oh, the dreaded sun spots! I turn into a spotted leopard each year about this time, no matter how religious I’ve now become about keeping my face covered and protected from the sun. I don’t think my face even sees direct sunlight in the summer now. It just knows its that time of year so the spots just start showing up – out of nowhere! I’m sure many of you understand exactly the kind of frustration I’m feeling. I dished out advice to a 10-year-old family friend this last week while boating as I handed her the sunscreen. “I wish my mom would’ve told me to wear sunscreen every day when I was growing up, but it was rarely ever mentioned, and now I’m paying the price. Look at my forehead!” – As I showed her a huge cluster of uneven freckles, stretching from the left temple all the way to the right. Many of us spend a lot of money on fancy creams with lots of guarantees but still don’t always get the results we want. I think this is why in the last few years, I’ve become more obsessed with beauty devices and any tools that can mimic the expensive work (at a cheaper price) I could have done in a dermatologist’s office, to get the best possible results. by Michael Todd Beauty. This awesome NEW beauty tool is a 3-in-1 Derm Rejuvenation System, designed to target EVERY area of aging including the skin issues the sun can wreak havoc on this time of year! The complete rejuvenating system works to smooth, remove, and also soothe rough texture, congested pores, enlarged pores, fine lines and…… sun spots! Woohoo! Thank Goodness! By using the Total Refresher daily, you can expect to see a more radiant appearance, as well as a more healthy, and youthful glow too. AND it’s going to target those areas you could use a little extra help with, like those sun spots, enlarged pores, wrinkles, etc. 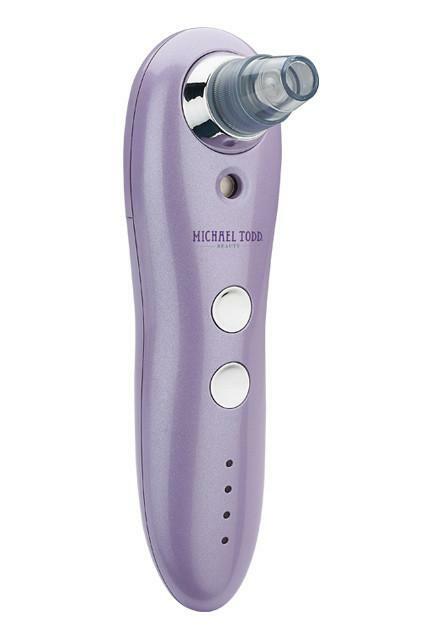 Diamond Tip Microdermabrasion, gentle Suction Extraction, and Micronized Toning as a 3-in-1 approach to completely rejuvenating the complexion in the comfort of your own home. In the first step, the Diamond Microdermabrasion works to smooth skin, by giving it skin a micro-smoothing exfoliation treatment with a diamond encrusted metal tip to gently buff away rough skin texture, uneven skin tone, fine lines and the look of enlarged pores. This first step makes the device effective because as many of you already know, skin needs to be prepped before using product so that your skin cream can more effectively penetrate the deep layers of the skin, making the anti-aging benefits more efficient. The Total Refresher exfoliates skin, by removing the excess dead skin cells that sit on the top of skin, and forms a “cap” over pores, by clearing a path for removal by utilizing the pore-unclogging function. In the second step, the Total Refresher uses its Suction Extraction to remove these dead skin cells. The microcrystalline suction probes vary in size and strength to allow for customizable suction removal of unwanted impurities from pores for a complete detoxification of the complexion. After debris removal, pores are better able to receive revitalizing oxygen, micronized toning mist and treatment serums and appear more refined with use. The third step involves Micronized Toning to soothe the skin. The Total Refresher transforms any soothing toner into a micronized mist. It infuses freshly detoxified pores with nano-sized particles to boost the performance of any soothing toner for a completely refreshed look. *Just be sure to prep skin first before using your Total Refresher by using a degreasing cleanser to completely remove all surface oils from the skin. This will help deliver optimum results and ensure maximum efficiency when using the Total Refresher. I personally love Michael Todd’s Charcoal Detox Deep Pore Cleanser for prepping my skin before using the Total Refresher and following with Michael Todd’s Blue Green Algae Toner during the micronized toning treatment (the 3rd step), but any degreasing cleanser and soothing toner are compatible with this unit. *The device is suitable for all skin types except sensitive. What are you waiting for lovelies? Experience a completely refreshed complexion with this at home spa rejuvenation system for a fresh and more radiant look! from Michael Todd Beauty for yourself? It’s available on their site today! 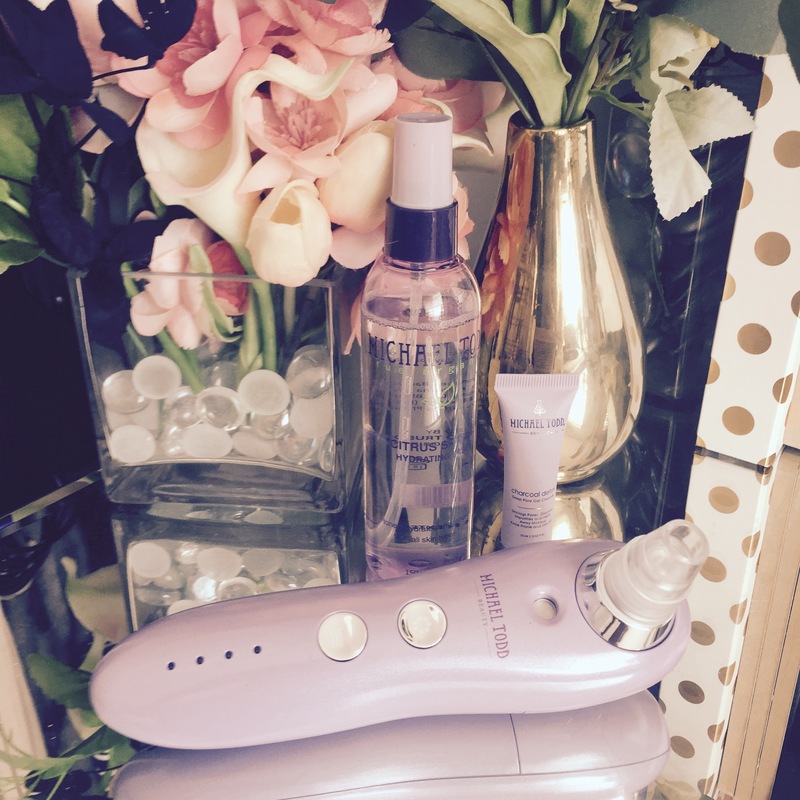 What excites you most about trying out this innovative beauty tool? Let me know in the comments! I love hearing from you! Don’t forget to Follow MyStyleSpot on Pinterest and YouTube to stay up to date all things beauty!